Consumer credit is the credit which is provided to people having fixed but regular income for acquiring consumer durables and other assets for personal use to service from their monthly income. Consumer Credit is a collateral free credit and backed by the monthly income of the loans and guarantors acceptable to the bank.­ This operation was, however, made very popular by Prime Bank Limited in the urban society of Bangladesh Bank for expansion of areas of its operation and Prime Bank’s Pragmatic policy of diversifying the credit operation and management. In fact, Prime Bank Limited has become a household name in urban Bangladesh through this scheme. The loan schemes offered by the bank includes Swapno Neer (Home Loan), Loan against salary, Marriage Loan, Car Loan, Hospitalization Loan, Education Loan, Doctors Loan, Any purpose Loan, Travel Loan, CNG conversion etc. In View of the potentials now Prime Bank is focusing on expansion of Consumer Credit Loans during last couple of years The growth rate of business was 38 Percent during the year. Direct selling services by recruiting highly trained & customer focused professionals. Considering all the Consumer Credit operations of the five banks, performance of PBL appears to be encouraging. Compared to other Banks, PBL will definitely show much better performance in the near future. But it requires amendment of some terms of CCS of the Bank such as documentation, client portfolio, interest rate, quality of service etc. Consumer banking, in other words banking for man-in-the street has been in prevalence in the western world since long which may be traced back in the sixties of the last century. In the Southeast Asia it has emerged as one of the popular vehicles for credit providing activities by the bankers in the seventies. With the passage of time consumer banking has become popular in those areas of the world and its scope of operation has been widened to a considerable extent. Prime Bank Limited is one of the leading banks in Bangladesh. Since its inception in the year 1995, the Prime Bank Limited has earned tremendous popularity and credibility among the people for its service. Banks are providing various schemes for clients. Consumers Credit Scheme (CCS) is one of them. Consumers Credit Scheme (CCS) of Prime Bank Limited is gaining more and more popularity which is functioning from the very inception of the bank. Prime Bank Limited is one of the principal banks who are offering Consumers Credit Scheme (CCS) for the people. It is very helpful to people specially for middle class people and lower middle class people. Under this scheme people can take loan to buy household goods. By installment basis they can repay the loan. 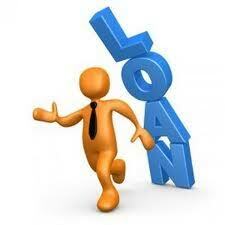 As total loan amount is repaid on installment basis it puts less pressure on consumer. Under Consumers Credit Scheme (CCS) people can take loan from banks and can buy their necessary goods. For limited income group Consumers Credit Scheme (CCS) is very helpful. Prime Bank Limited wants sustainable growth and continues to meet social obligations. Day by day the number of consumers in Prime Bank limited increases which indicate potentiality of the scheme. I have taken Prime Bank Limited, and four other private sector banks to make a comparison between Consumers Credit Scheme (CCS) of these. This report entitled “Consumer Credit Scheme of Prime Bank Limited: A Comparative Study” originated from the partial fulfillment of the internship program. I have completed my internship at Prime Bank Limited, Sreemangal Branch,Moulvibazar,Sylhet. This report has been prepared under the supervision of Mostofa Mahmud Hasan, Assistant professor, department of business administration Stamford University Bangladesh. In Bangladesh consumer banking concept in a different flavor started sometime in late eighties which has now become a very popular area of the country’s banks’ credit operation. Here scope of operation of consumer banking is very limited to the fixed income bracket people in acquisition of consumer durables by them through bank financing. That is why, it is better called consumer credit scheme. From the name it means credit operation of a type being carried out by bankers extended to people having limited and fixed but regular income for acquisition of household articles and other assets for personal use. Realizing the importance of providing quality credit services in the competitive Banking sector, I have selected my report title as – “Consumer Credit Scheme of Prime Bank Limited: A Comparative Study”. To o give an overview on Prime Bank Ltd. and its services. To detail the Consumer Credit Scheme (CCS) Of PBL and its Consumer Credit Operation System. To perform a comparative analysis on CCS of PBL and those other private banks. Finding out the shortcomings of the Bank in its CCS operations and providing some Recommendation. This research of which major objective is to describe the comparative study of customer service quality and how well the customers are accepting the services, is a single cross sectional design where preliminary information is gathered only from the existing clients (account holder) of Prime Bank Limited, The Premier Bank Limited, Dutch Bangla Bank Limited, National Bank Limited and BRAC Bank Limited to whom the quality of services is provided. Face to face conversation with the bank officers. Some Questionnaire survey with the customers is made at Prime Bank Limited, The Premier Bank Limited, Dutch Bangle Bank Limited, National Bank Limited and BRAC Bank Limited. Annual Report and website of Prime Bank Limited. Different publications regarding banking functions. It has been preferred simple random sampling technique in this research. The sample size of this research is 100. Each responding is given a questionnaire to fill in. the survey method used in this study is primary data collection tool. Certain objectives are examined using secondary data. I have selected these banks not on the basis of their size, but on the basis of the market acceptability of their Consumer’s Credit Scheme. Observing and analyzing broad performance of PBL and one of its branches is not an easy job by this short duration of time (only three months). As I am a not an employee of PBL, some data could not be collected due to internal security of the bank. Collecting information on Consumer Credit Scheme from other banks was very tough. Because of shortage of employees in Banana Branch of PBL I had to work as a full time officer from 9a.m. to 7p.m. on every working day. so I didn’t get chance to give enough effort in preparing this report. Since there is no marketing department in this branch, I could not enrich my report with information on marketing procedures and promotional strategies of Prime Bank Ltd. In the backdrop of economic liberalization and financial sector reforms, a group of highly successful local entrepreneurs conceived an idea of floating a commercial bank with different outlook. For them, it was competence, excellence and consistent delivery of reliable service with superior value products. Accordingly, Prime Bank Ltd. was created and commencement of business started on 17th April 1995. The sponsors are reputed personalities in the field of trade and commerce and their stake ranges from shipping to textile and finance to energy etc. As a fully licensed commercial bank, a highly professional and dedicated team is managing Prime Bank Ltd. with long experience in banking. They constantly focus on understanding and anticipating customer needs. As the banking scenario undergoes changes so is the bank and it repositions itself in the changed market condition. Prime Bank Ltd. has already made significant progress within a very short period of its existence. The bank has been graded as a top Class bank in the country through internationally accepted CAMEL rating. The bank has already occupied an enviable position among its competitors after achieving success in all areas of business operation. Prime Bank Ltd. offers all kinds of Commercial Corporate and Personal Banking services covering all segments of society within the framework of Banking Company Act and rules and regulations laid down by our central bank. Diversification of products and services include Corporate Banking, Retail Banking and Consumer Banking right from industry to agriculture, and real state to software. The bank has consistently turned over good returns on Assets and Capital. During the year 2008, the bank has posted an operating profit of Tk.1520.34 million and its equity funds stood at Tk. 2808 million. Out of this, Tk. 1400 million consists of paid up capital and Tk. 1055.98 million represents reserve fund. The bank’s current capital adequacy ratio is 9.96%. In spite of complex business environment and default culture, quantum of classified loan in the bank is very insignificant and stood at less than 0.96%. Prime Bank Ltd., since its beginning has attached more importance in technology integration. In order to retain competitive edge, investment in technology is always a top agenda and under constant focus. The past performance gives an indication of strength. Whatever the transaction and customers need, PBL has tried to build long-term relationship. It is through these relationships that PBL has come to understand its customers and build value for them. Special counters are usually opened to meet the service demand of customers during heavy customers flow. Prime Bank limited believes that it gives its customers a world-class banking service through an IT based network of 47 branches. Prime Bank limited is designed to provide commercial investment bank services to all type of customers ranging from small entrepreneurs to big business firms. In this regard, it gives emphasize on the priority sector of the economy like industry, housing and self- employment. Besides, the bank aims to provide different customer friendly deposit and loan products to fulfill the banking needs of the individual customers. To build Prime Bank Limited into an efficient, market driven, customer focused institution with good corporate governance structure. Continuous improvement in business policies and procedures through integration of technology at all levels. To have sustained growth, broaden and improve range of products and services in all areas of banking activities with the aim to add increased value to shareholders investment and offer highest possible benefits to the customers. To become most caring Bank – by providing the most courteous and efficient service in all area of business. By promoting the well – being of the members of the staff. By ensuring fair return on their investment through generating stable profit. 2. Branch of the PBL. Non performing assets are income generating assets, including loans, which are past due for 90 days or more. If this ratio rises, the bank’s exposure to credit risk grows and there is a possibility of bank failure. In case of Prime Bank, the non performing asset to total loan ratio is 1.52% (1.48% in 2006 & 1.98% in 2008). Though the credit risk of the bank is still within control, the ratio is rising. It gives a red signal to the credit performance of the bank. There is a Bangladesh Bank requirement to maintain a provision for unforeseen loan losses. Prime Bank had a provision for loan losses to total loan ratio of 1.39% in 2009 (0.55% in 2007 and 0.39% in 2008). Net loans (total loans minus the provision for loan loss) to total assets were 57% in 2007, 63% in 2008 and 67% in2009. It shows the loan amount has increased by 17.5% during this period which means the bank’s total asset has increased though it is maintaining a growth in its loan rather than keeping it in cash and balance. Total cash and balance with other banks and financial institutions of Prime Bank as a percentage of total assets was 21.36% in 2007, 17.73% in 2008 and 15.10% in 2009. This shows a decrease of 40% during this period. Although this weakens the bank’s liquidity position, it also increases the bank’s earning capability. Capital account of a bank absorbs losses if the bank happens to have large bad loans in the portfolio. Such a ratio of equity capital to total asset shows how much cushion the depositors have against the assets of a bank. For Prime Bank, this ratio is around 7% (7.99% in 2007, 7.61% in 2008 and 7.35% in 2009). This small ‘cushion’ poses a risk of default for the bank. This ratio reflects how well current bank capital covers potential losses from those assets most likely to decline in value. The ratio of equity capital to risk asset for Prime Bank was 13.86% in 2007, 12.03% in 2008 and 10.8% in 2009. As the ratio is decreasing, the risk of potential losses from risky assets is increasing. Prime Bank Limited expanded and consolidated its customer base in both of its core business and retail banking. As up to the period the bank retained its lead by increasing the network of branches to the tune of 46 Branch’s up to 31st December, 2009 shown in figure as follows. The interest income of the bank has increased by 24.97% (which is obvious since the loan amount has increased in 2009). In 2009, interest income was Tk.2158 million whereas the interest expense was Tk.1407 million thus the net interest income was Tk.751 million, with an increase of 24.76% from the previous year. The operating expense of the bank has been quite stable. There were not too much of deviation from the previous year. The total operating expense in 2008 was Tk.824 million compared to Tk. 592 million in 2009. The Profit before tax of the bank has increased by 10.49%. However, the Net Profit after tax was decreased by 10.28% from 2007 to 2008. Due to the increase of corporate income tax on the financial institutions from 40% to 45%, the profit after tax has shrunk a little bit compared to the previous years. vi. After fulfilling the above formalities, Prime Bank provides the customer a pay-in-slip book and a cheque book. Two copies of photograph of the Account Holder(s) duly attested by the Introducer. Account to be introduced properly. In case of joint account, operational instructions are to be signed by the Joint Account Holders. i. Minimum Balance to be maintained in current account Tk. 2,000/- and in Savings account Tk. 1,000/-. ii. A suitable instruction by an introducer acceptable to the Bank is required prior to opening an account. iii. Recent photographs of the Account openers duly attested by the Introducer must be produced. Duplicate cheque book in lieu of lost one should be issued only when an A/C holder personally approaches the bank with an application in the prescribed preformed agreeing to indemnify the bank for the lost cheque book. Fresh cheque book in lieu of lost one should be issued after verification of the signature of the A/C holder from the specimen signature card and on realization of required excise duty only with prior approval of manager of the Branch. Cheque series number of the new cheque book should be recorded in ledger card and signature card as usual. Series number of lost cheque book should be recorded in the stop payment register and caution should be exercised to guard against fraudulent payment. If bank finds that the account is inoperative for a long duration. If Garnishee Order is issued by the court on Prime bank. To close the account, the cheque book is to be returned to the bank. Prime bank takes all the charges by debiting the account and the remaining balance is then paid to the customer. Necessary entries are given to the account closing register and computer. The success of a company depends exclusively on the products and services it offers with a reasonable price compared to the competitors. It is the main source to attract consumers. PBL offers attractive savings schemes so that customers are interested in saving money in this bank. The bank is also offering reasonable interest rate on the deposits to attract consumers to save. Prime Bank Ltd. has the following products under the deposit scheme. Contributory Savings Scheme (CSS): It is a savings scheme where a person gets the opportunity to build up savings by contributing monthly installments and receives a fixed amount of money at the end of a specified term. PBL pays 15% interest rate on this savings scheme. Special Deposit Scheme (SDS): It is a scheme where deposit installment is issued for the full amount payable after a specified period against deposit of a certain amount. Monthly Benefit Deposit Scheme: It is a scheme where the depositors get a fixed amount of profit every month without interrupting the principal amount. The scheme is for minimum Tk. 1 Lac for a 5 year period with an interest rate of 11%. Education Savings Scheme (ESS): This scheme provided by PBL gives a unique opportunity to the parents to make a future provision for the educational expense of their children when they would enter into educational institutes, out of the benefit of a small amount of savings with the bank. PBL offers 12.5% of interest rate on this scheme. Savings Account: The bank has savings or current account where no interest is given to the customer. Other Services: Prime Bank Ltd. also offers other accounts regarding the remittance section. These are, Foreign Currency Deposit Account, Non Resident Taka account, Non Resident Currency Deposit Account and Multi Currency account. General Loan Scheme: This type of loan is classified into individual and industrial loans. Consumer Credit Scheme (CCS): In order to provide financial assistance to the limited income group of people, this scheme is beneficiary. Lease Financing: It is one of the convenient long term source of acquiring capital machinery and equipment, where a client is given the opportunity to have a right to use an asset, for an agreed period of time, against the payment of rent. The major advantage it has is to use an asset without buying it. Small and Medium Enterprise: It is a scheme offered by PBL to provide credit facilities to small and medium size entrepreneurs located in urban and sub-urban areas, to encourage new and educated young entrepreneurs to undertake productive ventures, to assist potential entrepreneurs to take part in economic activities, etc. The loan ceiling is Tk.2.5 Lac for small enterprise and Tk.7.5 Lac for medium enterprise. Interest rate charged is around 15%. House Building Loan Scheme: These loans are allowed to individuals or enterprises for construction of house. Hire Purchase: Hire Purchase is a type of installment credit under which the Hire Purchase agrees to take the goods on hire at a stated rental. Advance against share: In order to contribute to the development of the Capital Market of the country Prime Bank Limited extends credit facilities against pledge of Shares to the individuals as well as to the Member of DSE & CSE. Inward remittance covers purchase of foreign currency in the form of foreign Telegraphic Transfer (T.T), Demand Draft (DD) and Bills & Travelers Cheque, Export Bill etc. sent from abroad favoring a beneficiary in Bangladesh, purchase of foreign exchange is to be reported to Exchange Control Department of Bangladesh Bank on from – letter of Credit (L/C). Basically, these are the formal channels of receiving inward remittance. A local bank also receives indenting commission of local firm also comes under purview of inward remittance. Outward remittance covers sales of foreign Currency by Authorized Dealer (AD) or Formal Channel through issuing foreign Telegraphic Transfer (T.T), Demand Drafts (D.D), Traveler’s Cheque etc. as well as sell of foreign exchange under L/C and against Import Bills retired. The Authorized Dealers have to demonstrate utmost caution to ensure that foreign currencies remitted or released by them are used only for the purposes for which they are released. Most outward remittance is approved by the authorized dealer on behalf of Bangladesh Bank. Fair, Exhibition for export promotion. Fund transfer from one country to another country through official channels, i.e. banking channel, post office and other private service channels, such as – Western Union Money Transfer, Neon Money Order, Money Exchanger etc. Fund transfer from one country to another country through hand by hand or over telephone in an unofficial channel like – “Hundi”. Experts state that remittance collected by informal “Hundi” rings are used to finance illegal trade and transaction. Terrorist financing is also made by this sort of channel. Commission on opening a BTB L/C which is determined on the basis of “Bills for Collection” selling rate. 0.45% commission on the deferred L/C for 120 days & .30% commission on the deferred L/C for 90 days if the applicant bank accepts the bill for payment (ABP) in respect of its applicant. Tk.500 for shipping guarantee to the customs department of the port if the applicant wants to discharge the imported products before receiving the documents related to export. The bank acts as a guarantor taking all responsibilities related to payments. 7-10% interest rate on packing credit. Prime bank is a scheduled Bank. According to the Article 37(2) of Bangladesh Bank Order, 1972, the banks which are the member of the –“Clearing-House” are called as Scheduled Banks. The scheduled banks clear the cheques drawn upon one another through the Clearing-House. This is an arrangement by the central bank where everyday the representative of the member banks gathers to clear the cheque. The place where the banks meet and settle their dues is called the Clearing-House. The Clearing-House sits for two times a working day. Pass outward instruments to the Clearing-House. Pass inward instruments to respective department. Return instruments in case of dishonor. Prepare IBCA or IBDA for the respective branch and HO. Prime bank Principal Branch clears its cheque through the Head Office as well as the cheque of other branches, because it is only permitted. The other branches send the instruments through I.B.C.A. Prime bank Principal Branch acts as an agent in this case. The cheque should not carry a date older than the receiving date for more than 6 months. In that case it will be a ‘stale cheque’ and it will not be allowed for collection. Again the date of the check should not be more than 1 day forwards than the receiving date. The amount in figures and words in both sides of the pay-in-slip should be same and it should also be same with the amount mentioned in figures and words in the cheque. The name mentioned in the cheque should be same in both sides of the pay-in-slip and it should be the same with the name mentioned in the cheque. Receipt and Payment of Cash. Balancing, Checking and safe custody of Cash. Maintenance of Accounts with Bangladesh Bank/Other Banks. Manage Excess or shortage of cash, mutilated defective notes. Cash receiving officer shall check the deposit slip/ credit voucher/ application form as to its title of the account, number and amount in words and figures. The cash currency notes shall be counted physically/ by cash counties machines as per denominations of the currency notes on the back of the voucher/ deposit slip. The officer will enter the particulars in the cash receiving register and sign on the related deposit slip/ voucher and affix Cash received stamp with date. He shall write the amount in words and figures in red ink across the deposit slip/ voucher/ application form in token of receipt of the money. He shall send the register along with the deposit slip/ voucher for singing on the same and authenticating the receipt in the register by the in-charge of the department. The officer in-charge shall retain the original of deposit slip and other vouchers and send them to respective desk for posting/actions. The duplicate voucher shall be handed over to the depositor/client. At the close of the business the cash receiving officer shall add all the entries in the register and if agreed with the actual cash received by him, shall hand over the register for checking by officer-in-charge. Receiving Cash officer will hand over the Cash to the entire cash in-charge duly checked by him. First of all the clients come to the counter with the check and give it to the officer in charge there. The officer checks whether there are two signatures on the back of the cheque and checks his balance in the computer. After that the officer will give it to the cash in charge. At the close of business when cash receiving and payment registers are balanced. The cash balance book is written and agreed with cash in hand. The book is signed jointly by the cash officer and the supervising officer/manager. Cash position Memo is written including details of denomination on the reverse. The memo shall be signed by the Cash officer and Checking Officer. Vault register shall be written with details of denominations and the checking officer shall initial the register. In presence of the checking officer the loose cash box is closed and the bundles are placed in the safe inside strong room together with box and the keys are applied. The Cash Position memo is sent to Account department for balancing of accounts of there Brace. With the growth of middle classes and other classes of people having a monthly and regular source of income, Prime bank has come up with a scheme named Scheme Deposit. Account section records day to day transaction of the branch including deposit inflow-outflow, daily expanses and gives focus what are need for establishment of the branch means photocopy paper, ink, shelf, desk etc. This section prepares statement daily, weekly, monthly, semi-yearly and yearly. This department also is called financial control department. In banking business transaction are done every day is their transaction are to be recorded properly and systematically as the banks deal with the depositors money. Any deviation in proper recording many hamper public confidence and bank has to suffer a lot otherwise. Improver recording of transaction will lead to the mismatch in the debit side and the credit side. To avoid these mishaps the bank provides a separate department whose function is to check the mistake is passing voucher on wrong entries or fraud or forgery. Bangladesh is a small thriving country, where majority of the population endure a substandard life. These ordinary people cannot even afford to buy essential products. In such context Prime Bank Ltd. has started its Consumer Credit Scheme (CCS) in 1995. Though PBL was not the first bank to come with the concept of CCS but at present it is one of the supreme banks that offer the most beneficial CCS to its consumer. This scheme recognizes and provides necessary finance to help the “Under Served” limited income group who needs access to formal credit to purchase consumer durables and improve their standard of living. CCS has been quite successful since its inception. It is worthwhile to mention that in Nov 2009 outstanding under CCS stand Tk. 1223809 involving 11836 customers which indicates a tremendous potential of the scheme. The rate of recovery under the scheme is excellent and exceeds 95%. More over, it has been possible to reach the height of the market image and reputation of bank because of the CCS, which covers wide segment of people belonging to fixed income group. On the other hand , in present day world, banking is moving toward retail banking based on supervise credit. To bring credit service not only to the rich class people but also to the limited income group towards buying utility product. To provide financial assistance to limited earner group to raise their standard of living. To contribute in socio-economic development of the country. Increase the number of beneficiaries through CCS program. Increase relationship network of the bank. To popularize bank’s product among the people. d)Banks, Insurance Companies, multinational Companies. e)Armed force, BDR, Police & Ansar. g)Locally established and Renounced Public Limited Companies. h)Professional like, Doctor, Engineer, Lawyer, Architect, Journalist, Chartered i)Accountant and self-employed person. Eligible: Any person having CD/SB Account. Margin: Best effort basis. Accrued interest to be served quarterly. Limit: As per delegation of power circulated from time to time. Security: Lien on FDR, Deposit and other savings instruments duly discharged and lie ed with letter of authority to in cash in case of default. Rate of interest: In case of FDR 2-3% above FDR interest rate. In case of other deposit 15% per annum with a quarterly rest. Period: Maximum 12 (twelve) months. Under this head, loan will be sanctioned against guarantee of third parties acceptable to the bank or pledge of FDR, Savings instrument of Banks and assignment of salary where applicable. Rate of Interest : 15% p.a. Age Limit : Between 25 to 60 years. Instead of down payment , the customer shall have the option to avail loan for the full amount of quotation. In that case the customer has to provide lien on FDR/other financial instruments up to 50% of the loan amount, interest rate shall be reduced by 1% and personal guarantee shall be waived. Under this head , loan will be sanctioned against guarantee of third parties acceptable to the bank/lien on FDR/any other financial instrument. The loan limit, down payment and period of loan are given below. Adequate cash flow to service the loan. Purpose: To set up chamber medical store with necessary medical equipments to make them self employed. Loan Ceiling : The loan amount may range from Tk. 1,00,000/- to Tk. 10,00,000/- depending on types and requirements of doctors. Specialist having 5 years experience as specialist. Invoice/Quotation : Invoices or quotation for purchasing medical equipments duly Verified by the Banks officer is required. Instead of down payment , the customer shall have the option to avail loan for the full amount of quotation. In that case the customer has to provide lien on FDR/other financial instruments upto 50% of the loan amount, interest rate shall be reduced by 1% and personal guarantee shall be waived. Any purpose loan is meant to meet the emergency need of money for any purpose not compatible to any products of Retail Credit Scheme. With a view to enhance the volume of business under Retail Credit Unit , marketing & recovery task of the scheme shall be given to Outsourced People/Agent. Till Outsourced People are engaged, the Retail Credit Unit shall carry out the work by In-house people. The marketing officers of Retail Credit Unit will pursue the prospective customers to sell retail credit products. The intending customer will submit their loan applications either direct to the Retail Credit Unit or to any of the nearest branches of Prime Bank Limited as convenient. After receiving the Application from the customer , the branches shall forward the same to the Retail Credit Unit immediately. After receiving the loan application from the branch, the officers of Retail Credit Unit will do inspection & verification thereof regarding the particulars of the prospective customers & guarantors & apply all due diligence for approval or decline of the proposal. If the proposal approved by the committee, the Unit will issue sanction advice to the respective branches ( as desired by the customer) advising for disbursement of the loan after completing all documentation and obtaining required cheques. The Retail Credit Unit as well as the branches shall maintain a sanctioning and declining register in the computer. After disbursement of loans , the branch shall diaries the date of payment of monthly installment. The branches will place cheques as usual manner for recovery of due installments. They shall issue remainder to the customers before 10 days of due date of installment. If any customer fails to deposit on due date 2nd remainder shall be given. After 7 days 3rd remainder shall be given. If installment is not deposited, the branch shall arrange for visiting the customer personally. If any loans under the schemes become problematic / classified only then the branch shall refer the case to Retail Credit Unit for taking necessary steps. Non performing assets are income generating assets, including loans, which are past due for 90 days or more. If this ratio rises, the bank’s exposure to credit risk grows and there is a possibility of bank failure. In case of Prime Bank, the non performing asset to total loan ratio is 1.52% (1.48 in 2007 & 1.98% in 2008). Though the credit risk of the bank is still within control, the ratio is rising. It gives a red signal to the credit performance of the bank. Foreign Exchange means exchange of foreign currency between two countries. If we consider ‘Foreign Exchange’ as a subject, then it means all kinds of transaction related to foreign currency. In other words, foreign exchange deals with foreign financial transactions. No country is self-sufficient in this world. Everyone is, more or less, dependent on another, for goods or services. Say, Bangladesh has cheap manpower whereas Saudi Arabia has cheap petroleum. So Bangladesh is dependent on Saudi Arabia for petroleum and Saudi Arabia is dependent on Bangladesh for cheap manpower. People of one country are going to abroad for Education, Medical service etc. Thus there is exchange of foreign currency. Our foreign exchange transactions are being controlled by the following rules & regulation. Foreign Exchange Regulation Act 1947. Bangladesh Bank issues foreign exchange circular from time to time to control the export, import & remittance business. Ministries of commerce issues export & import policy giving basic formalities for import & export business. Sometime CCI&E issues public notice for any kind of change in foreign exchange transaction. Bangladesh bank published two volumes in 1996. This is compilation of the instructions to be followed by the authorized dealers in transitions relation to foreign exchange. International Chamber of Commerce (ICC) is a worldwide non-governmental organization of thousands of companies. It was founded in 1919. ICC has issued some publications like UCPDC, URC, & URR etc, which are being followed by all the member countries. There is also an international court of arbitration to solve the international business disputes. World Trade Organization (W.T.O) is another international trade organization established in 1995. General Agreement on Tariff & Trade (GATT) was established in 1948, after completion of it’s 8th round; the organization has been abolished & replaced by W.T.O. This organization has vital role in international trade, through its 124 member countries. Foreign exchange department plays significant roles through providing different services for the customer. Facilitating the trade with foreign country is the most important among those services the key instrument which facilitates this trade is L/C (Letter of Credit). Letter of Credit may be defined as an arrangement or guarantee issued by a bank at the request of the customer to make payment to or order of the beneficiary or authorized another bank to effect such payment or to pay, accept or negotiate such bill of exchange against stipulated documents, provided that the terms and conditions of the L/C are complied with. It is the bank in the Exporter’s (Normally the exporter’s bank), which is usually the foreign correspondent of Importer’s bank through which the L/C is advised to the supplier. If the intermediary bank simply advises/notifies the L/C to the exporter without any obligation on its part, it is called “Advising Bank”. If the Advising Bank also adds its own undertaking to honor the credit while advising the same to the beneficiary, he becomes the Confirming Bank, in addition, becomes liable to pay for documents in conformity with the L/C’s terms and conditions. The Bank that negotiates the bill of exporter drawn under the credit is known as Negotiating Bank. If the advising bank is also authorized to negotiate the bill drawn by the exporter, he becomes the Negotiating Bank. A Bank that accepts time or unasked drafts on behalf of the importer is called an Accepting Bank. The Issuing Bank can also be the Accepting Bank. If the Issuing Bank does not maintain any account with a bank that will be negotiating the documents under a L/C, then arrangement is made to reimburse the negotiating bank for the amount to be paid under from some other bank with which the Issuing Bank maintains his account. The latter bank is known as Reimbursing Bank. Imports are foreign goods and services purchased by consumers, firms, & Governments in Bangladesh. The importers are asked by their exporters to open letter of credits so that their payment against goods is ensured. 1. Personal importer: if the importer is insisting to import goods from the abroad for his need this importer called personal importer. 2. Commercial importer: if the importer is insisting to import goods for commercial purpose then it is called commercial importer. 3. Industrial importer: if the importer is insisting to import goods for industrial purpose then it is called Industrial importer. Under the import and export control Act, 1950 the Government of Bangladesh formulates the Import policy through Ministry of Commerce. Import facility up to $2000 for actual user (for self consumption, not for sale) without permission, $2000-5000, and approval of regional controller of import & export (CI&E). Above $5000, approval of Chief Controller of Import $ Export (CCI&E). Import facility on the basis of direct payment on foreign countries. Import under L/C, L/C must be irrevocable. Import above $5000-L/C is required. But in case of perishable items like food up to $7500 transported by road L/C is not required. 2. Import up to $5000 in case of payment from Bangladesh. 3. Import under foreign aid. 4. Import of “International chemical Reference” by Pharmaceutical companies with prior approval of Drug Administration. Government sector bodies can import without any license, permit & IRC. Commercial import by cash payment only. To import, a person should be competent to be ‘Importer’. According to Import and Export Control Act, 1950, the Office Of Chief Controller Of Import and Export provides the registration (IRC) to the importer. After obtaining this person’s has to secure a letter of credit authorization (LCA) from Bangladesh Bank. And then a person becomes a qualified importer. He is the person who requests or instructs the opening bank to open an L/C. He is also called opener or applicant of the credit. Total supervision of Import Department (Cash/Back to Back L/C). Foreign Correspondence related to above. Payment of Back-to-Back L/C and endorsement of Export L/C against payment. Follow-up of Back-to-Back overdue bills. Correspondence regarding Back-to-Back L/C and Cash L/C. Maintenance of Due Date Diary. Maintenance & record of related L/C Documents. Matching of Bill of Entry with IMP, follow-up of pending Bill of Entry Quarterly Statement. L/C opening/ Amendment (Back to Back L/C). Endorsement of Export L/C when opening. Balancing of L/C Contingent Liability 9Back to Back L/C). Follow-up of Sub-judicial bills and maintaining liaison with Head Office and Foreign Correspondent. All correspondence related to Back-to-Back L/C with Head Office and Foreign Correspondent. Supervision of checking, Lodgment and retirement of Import documents under Back-to-Back L/C. Issuance of Certificate and attestation of papers/documents of garments clients as required by BGME, EPB & other regulatory bodies. Checking, lodgment, retirement of Import documents under Back-to-Back L/C. Issuance of Shipping Guarantee (Back to Back L/C). IMP Form Fill-up (Cash L/C). Inform negotiating Bank about maturity date of Back-to-Back L/C. Quarterly statements for Bonded ware House. Statement of outstanding accepted import bills under Back-to-Back L/C. L/C opening and Amendment of Cash L/C (and Inland L/C). Maintenance and record of Passbook and IRC. Maintenance & Record of related L/C (s) & Documents. Statement of IRC Renewal fees to CCI&E. Preparation of monthly foreign exchange business position. Checking of Cash L/C documents. Proof Sheet of LC Margin and Contingent Liability (Cash L/C). Issuance of shipping guarantees (cash) IMP forms fill-up (cash). If an importer wants to import some goods from outside the country, at first he has to apply to a bank for opening a L/C. Letter of Credit (L/C) is a written undertaking of a bank written to the seller and issued at the request of the buyer to pay at site or a determinable future date. According to Import Policy, unless or otherwise specified, all import is to be made by opening irrevocable letter of credit (amendment or cancellation with the agreement of the opening bank, advising bank, beneficiary, and importer). L/C can be opened against Proforma invoice if the exporter has no agent and L/C can be opened against Indent if the foreign supplier has indenting agent. For opening letter of credit an importer is required to have some documents, which are to be submitted to the L/C issuing or popularly known as opening bank. The terms and conditions of the L/C must be complied with UCPDC 500 and Exchange Control & Import Trade Regulation. Eligibility of the goods to be imported. The L/C must not be opened in favor of the importer. Radioactivity report in case of food item. Certificate declaring that the item is in operation not more than 5 years in case of car. At first the L/C opener is required to fill up the prescribed application form for requesting to open a L/C for him. The amount and description of goods in the application should be relevant with the indent or Proforma invoice or import contract. The amount is covered by the insurance amount. The item is not a banned one. The indent produced has the Import Registration Certificate number and the indenter’s registration number. The indent has indenting agent’s signature and importer’s signature. Whether transshipment and partial shipment is allowed. If all the documents along with the application are in order, the financial position and credit worthiness of the importer, market demand of the good is assessed. Margin for letter of credit will also be determined. The rate of margin depends on the financial condition of the banker, Importers previous performance, status of relationship with the importer, nature of goods etc. This margin is to be retained from the importer either in cash or debiting the importer’s current account with the bank. The importer is also required to pay the other concerning charges like foreign corresponding charge, telex charge (if any), handling charges, and commission etc. After all these steps of letter of credit is opened and forwarded to the advising bank. There are two types of accounting procedure involved in L/C. One is L/C opening, and another is Liability Register, which includes Liability amount, Margin, Foreign correspondent etc. While opening L/C there are few accounting entries. For Margin importer account with bank is debited and Margin A/C is credited. For contingent liability (L/C amount) Customer’s liability on L/C cash is debited and Banker’s liability on cash is credited. For other charges customer’s current account is debited and commission A/C, income A/C, Foreign correspondent charge A/C and other related A/C is credited. The advising or notifying bank is the bank through which the L/C is advised to the exporter. It is a bank situated in the exporting country and it may be a branch of the opening bank. It becomes customary to advise a credit to the beneficiary through an advising bank. The confirming bank does adding confirmation. Confirming bank is a bank, which adds its confirmation to the credit, and it is done at the request of the issuing bank. The confirming bank may or may not be the advising bank. Letter of credit can be transmitted to the advising bank through three methods. They are in Telex, Courier, or SWIFT (Society for Worldwide Inter-bank Financial Telecommunication). L/C is send to advising bank in three copies. The advising bank authenticates the original copy of L/C and delivers it to the exporter. The duplicate copy is kept with the advising bank. The beneficiary (exporter) receives the letter of credit from advising bank. After proper shipment of goods as per terms and conditions of the L/C, required documents like Commercial Invoice, Bill of Lading, and bill of exchange are presented to the negotiating bank by the beneficiary for negotiation. If the documents are in order as per L/C then the negotiating bank negotiates the drafts making payment to the beneficiary. Then the negotiating bank forwards the drafts along with the shipping documents to the L/C opening bank. The negotiating bank reimburses the amount paid against the draft from reimbursement bank. Parties involved in a L/C, particularly the seller and the buyer cannot always satisfy the terms and conditions in full as expected due to some obvious and genuine reasons. In such a situation, the credit should be amended. Prime bank transmits the amendment by tested telex to the advising bank .In case of revocable credit it can be amended or cancelled by the issuing bank at any moment and without prior notice to the beneficiary. But in case of irrevocable letter of credit, it can neither be amended nor cancelled without the consent of the issuing bank, the confirming bank (if any) and the beneficiary. If the L/C is amended, service charge and telex charge is debited from the party account accordingly. Prime bank officials check whether these documents have any discrepancy or not. Here, Discrepancy means the dissimilarity of any of the documents with the terms and conditions of L/C. 3) Items to be imported, etc. The opening bank receives import bills, which have been negotiated. After receiving the documents, they are to be thoroughly scrutinized before lodgment. First of all it must be ensured that full set of documents as mentioned in the L/C has been received. Documents have been negotiated within the negotiation period. The Bill of Lading/Air-Way Bill/ Railway receipt is not dated later than the last date of shipment mentioned in the L/C. Import bills include following documents, which are to be scrutinized. It has to be verified that the bill of exchange has been properly drawn and signed by the beneficiary according to the terms and conditions of L/C. The amount in the Bill is identical with that mentioned in the invoice. The amount drawn does not exceed the amount mentioned in the L/C. The amount in words and figures should be same. The bill of exchange should be properly endorsed. It has to be verified that the commercial invoice has been properly drawn and signed by the beneficiary according to the terms and conditions of L/C. The beneficiary should properly invoice the merchandise. The merchandise is invoiced to the importer on whose account the L/C is opened. The description of merchandise and the unit price correspond with that given in the L/C. The import license or IRC number of the importer, indenter’s registration number and number of Letter of Credit Authorization number are incorporated in the Invoice. First of all it has to be cleared that the Bill of Lading is showing “Shipped on Board” and it has to be properly endorsed to the bank. The B/L should include the description of the merchandise according to invoice. The port of shipment and destination, date of shipment and the name of the consignee are in agreement with those mentioned in the L/C. The shipping company or their authorized agents properly sign the B/L. The date on the B/L is not ‘stale’ which means it is not dated in unreasonably long time prior to negotiation. The Merchandise described in the Certificate is in accordance with the L/C. There are some other documents, which are also attached, with the shipping documents like packing list, pre-shipment inspection certificate etc. These documents are also verified carefully before lodgment. When the scrutiny of import bills is over the steps should be taken for lodgment. At first all the particulars of the documents are entered in the PAD (Payment against Document) register and PAD No. Seal is given on all the copies of the received documents. Convert the foreign currency into Bangladeshi currency. Reverse the contingent liability and entry in the liability register. Send IBCA to the head office. Make intimation to the importer. For reversing contingent liability contra voucher is debited by Banker’s Liability A/C and credited with Customer’s Liability A/C. Then the transmission of L/C is done through tested telex or fax to advise the L/C to the beneficiary. If the amount of L/C exceeds US$10,000, Prime bank takes the credit report of the beneficiary (CIB report) to ensure the worthiness of the supplying goods. The importer receives the intimation and gives necessary instruction to the bank for retirement of the import bills or for the disposal of the shipping document to clear the imported goods from the customs authority. Following steps are to be taken for retirement of documents. Calculation of interest if any. Endorsement in the Bill of Lading or other transport document and in the bill of exchange. After realizing the Telex charge, service charge, interest (if any), the shipping documents is then stamped with PAD Number & entered in the PAD Register. Intimation is given to the customer calling on the bank’s counter requesting retirement of the shipping documents. After passing the necessary vouchers, endorsements is made on the back of the Bill Of Exchange as “Received Payment” and the Bill Of Lading is endorsed to the effect “Please deliver to the order of M/S———”, under two authorized signatures of the bank’s officers (P.A. Holder). Then the documents are delivered to the importer. Date of payment: Usually payment is made within seven days after the documents have been received. If the payment is become deferred, the negotiating bank may claim interest for making delay. Preparing sale memo: A sale memo is made at B.C rate to the customer. As the T.T & O.D rate is paid to the ID, the difference between these two rates is exchange trading. Finally, an Inter Branch Exchange Trading Credit Advice is sent to ID. Requisition for the foreign currency: For arranging necessary fund for payment, a requisition is sent to the International Department. A telex is transmitted to the correspondent bank ensuring that payment is being made. Back to Back letter of credit may be defined as a credit which is opened at the instruction and request of the beneficiary of the original Export L/C on the basis of strength of that L/C. Ready-made garment industries and specialized textile units are allowed the facility of importing fabrics and other materials needed for manufacture of garments/ specialized textiles against back to back L/C arrangement. A back-to-back L/C is opened against an irrevocable L/C opened bank having reasonable period of validity to cover shipment of merchandise after completion of validity to cover shipment of merchandise after completion of the manufacturing process. The export L/C is lien marked with the back-to-back L/C issuing branch. Import L/C is opened on issuance basis covering since of not more than 180 days. The import L/C is opened for 75%-85% of the value of Export L/C. the payment is normally made form the proceeds of export bills negotiated after shipment. The following papers/documents are required to submit by the exporter to the bank for opening foreign back-to-back L/C. L/C Authorization forms duly filled and signed. Along with the above papers / documents, original export L/C is to be submitted by the exporter. On receipt of these documents the bank scrutinizes the terms and conditions of the export L/C. after getting approval from head office through Credit Section, The particulars of the L/C are entered in the L/C opening register. Scrutiny of Export Shipping Documents. Follow-up for realization of Export Proceeds. All Correspondence relating to Export Department. Advising of Export L/Cs to the beneficiary. Authentication of L/C and Amendments from other Correspondent Bank. Transfer of Export L/C to the 2nd Beneficiary & issuance of notice of transfer to L/C issuing Bank. Recording of Export L/C particulars in Export L/C Transfer Register. Issuance of precedes realization certificates. And other works as & when directed by the manager and Sub-Manager. Lodgment of Export Bills (FBP, FDBC, IBP & IBC). Preparation of tickets elating to negotiation of documents. Maintenance of all records related to FBP, FDBC and Inland Bills. Balancing of FBP, FDBC, and IPB & A/R Export A/Cs. Preparation of statement and all returns to Bangladesh Bank and Head Office (Weekly/ Monthly/ quarterly). Partial shipment or transshipment beyond L/C terms. Amount of bill differs with Invoice. Not drawn on L/C issuing bank not signed. Description, Price, quantity, sales terms of the goods not corresponds to the credit. Not marked one fold as original Shipping marks differs with B/L & packing list. Gross weight, net weight, & measurement, number of cartoons/ packages differs with B/L. Not marked one fold as original. Not signed by the beneficiary. Shipping marks differs with B/L. Full set of bill not submitted. B/L is not drawn or endorsed to the Order Of Prime bank. “Shipping On Board”, “Freight Prepaid” or “Freight Collect” etc. notations are not marked on the B/L. B/L not indicate the name and capacity of the party i.e. carrier or master, on whose behalf the agent is signing the B/L. Shipped on Board Notation not showing name of pre-carriage vessel/ intended vessel. Shipped on Board Notation not showing port of loading and vessel name (In case B/L indicates a place of receipt or taking in charge different from the port of lading). Description of goods in B/L not agrees with that of Invoice, B/E & P/L. Alterations in B/L not authenticated. B/L bearing clauses or notations expressly declaring defective condition of the goods and / or the packages. Non-Negotiable documents not forwarded to buyers or forwarded beyond L/C terms. Inadequate number of Invoice, Packing List, & others submitted. Short shipment certificate not submitted. Overdraft against hypothecation of exportable commodities. Post shipment credit refers to credit facilities extended to export after actual shipment of goods against shipping documents. It is usually provided in the following ways. The most usual method of financing exporters at the post-shipment stage is negotiation of documents under L/C. Here the bank acts as negotiating bank. After the shipment of the goods, the exporter submits the relative documents to the branch for negotiation. The documents generally include a) Bill of Exchange b) Bill of Lading, c) Insurance policy d) Invoice e) Certificate of origin etc. The documents are to submit within the period mentioned in the L/C. The documents are sent to the L/C opening branch with a forwarding letter. Then the branch claim reimbursement from the issuing bank or from the reimbursing bank. On negotiation/ Purchase of the export bills, the exporter is paid the value of the bill (converted into Bangladeshi Tk at the ruling bill buying rates). L/C opening bank on collection basis. The bank mentions the discrepancies on their forwarding schedule. On receiving the documents, the L/C opening bank will further scrutinize the document with the L/C and inform the importer regarding discrepancies found in the documents. If these are acceptable to the importer and or permissible with the exiting Exchange control regulation, the documents will be lodged and L/C opening bank will send the payment instruction to the collection bank. In case of a Back to back letter of credit, a new L/C (an Import L/C) is opened on the basis of an original L/C (an Export L/C). Under the ‘Back to Back’ concept, the seller as the Beneficiary of the first L/C offers it as a ‘security’ to the advising Bank for the issuance of the second L/C. The Beneficiary of the Back-to-Back L/C may be located inside or outside the original Beneficiary’s country. In case of a Back-to-Back L/C, no cash security (no margin) is taken by the Bank; Bank liens the first L/C. In case of a Back-to-Back L/C, the drawn bill is an Issuance/ Time bill. c) L/C application & LCA form duly filled in signed. d) Pro forma Invoice or Indent. 3) Quota allocation letter issued by Export Promotion Bureau (EPB) in favor of the applicant in case of quota items. In case back to back as 60-90-120-180 days of maturity period, deferred payment is made. Payment is given after realizing export proceeds from the L/C issuing bank. If the party is paid in foreign currency, B/C. rate is applied in this regard. International Department takes the T.T. O/D. rate. If the payment is made to ID in local currency in notional rate, ID follows T.T. Clean Rate. When the party is to be paid, OD Sight rate is followed. Filling of E-2/P-2 schedule of S-1 category; which covers the entire month amount of import, category of goods, currency, country etc. Filling of E-3/P-3 schedule for all charges, commission with T/M form. Original IMP is forwarded to Bangladesh Bank with invoice and Indent. Duplicate IMP is kept with the Bank along with the bill of entry/ Certified Invoice. Triplicate IMP is kept with the Bank for office record. Quadruplicate is kept for submission to Bangladesh Bank in case of imports where documents are retired. The other type of L/C facility offered by Prime bank is Export L/C. Bangladesh exports a large quantity of goods and services to foreign households. Readymade textile garments (both knitted and woven), Jute, Jute-made products, frozen shrimps, tea are the main goods that Bangladeshi exporters exports to foreign countries. Garments sector is the largest sector that exports the lion share of the country’s export. Bangladesh exports most of its readymade garment products to U.S.A and European Community (EC) countries. Bangladesh exports about 40% of its readymade garment products to U.S.A. Most of the exporters who export through Prime bank are readymade garment exporters. They open export L/Cs here to export their goods, which they open against the import L/Cs opened by their foreign importers. 1. ERC: The exports from Bangladesh are subject to export trade control exercised by the Ministry Of Commerce through Chief Controller of Imports and Exports (CCIE). No exporter is allowed to export any commodity permissible for export from Bangladesh unless he is registered with CCI & E and holds valid Export Registration Certificate (ERC). The ERC is to be renewed every year. The ERC number is to be incorporated on EXP forms and other documents connected with exports. Obtaining EXP: After having the registration, the exporter applies to Prime bank with the trade license, ERC, and the Certificate from the concerned Government Organization to get EXP. If the bank is satisfied, an EXP is issued to the exporter. Upon registration, the exporter may proceed to secure the export order. Contracting the buyers directly through correspondence can do this. i) The terms of the L/C are in conformity with those of the contract. ii) The L/C is an irrevocable one, preferably confirmed by the advising bank. iii) The L/C allows sufficient time for shipment and a reasonable time for registration. iv) If the exporter wants the L/C to be transferable, divisible and advisable, he should ensure those stipulations are specially mentioned in the L/C. 4. Procuring the Materials: After making the deal and on having the L/C opened in his favor, the next step for the exporter is to set about the task of procuring or manufacturing the contracted merchandise. 5. Registration of Sale: This is needed when the items proposed to be export, are raw jute and jute goods. Customs copy of ERF Form for shipment of jute goods and EPC Form for raw jute. Freight certificate from the bank in case of payment of the freight at the port of lading is involved. Railway receipt, Berg Receipt or Truck Receipt. After those, exporter submits all these documents along with a Letter of Indemnity to Prime bank for negotiation. An officer scrutinizes all the documents. If the document is a clean one, Prime bank purchases the documents on the basis of banker- customer relationship. This is known as Foreign Documentary Bill Purchase (FDBP). A FDBP Register is maintained for recording all the particulars. The salient contents of a FDBP register are Date, Ref. No. (FDBP), Name of the Party (Drawer), Drawee, Name of collecting Bank, EXP Form no., Export L/C no., and etc. i) If the documents have discrepancies. ii) If the exporter is a new client. iii) The banker is in doubt. After passing the above vouchers, an Inter Branch Exchange Trading Debit Advice is sent for debiting the NOSTRO account. Prime bank has NOSTRO accounts with its reimbursing bank. An FDBC Register is maintained, where first entry is given when the documents are forwarded to the issuing bank for collection and the second one is done after realization of the proceeds. By the Export Bill Scrutiny Sheet the banker scrutinizes the details of a L/C before make the payment. Here the details refer as Exporter’s name, Presentation date of documents, L/C no., Expiry date, L/C amount available. Moreover the banker also look after the date within which the documents to be presented, Bill of lading, Shipment date in the L/C, Invoice number and date, Export L/C no, date, issued by, Liability position, Discrepancies, and Calculation of Bill amount (Exporter’s Retention Quota, Commission, and Margin). The customer submits the L/C to Prime bank along with the documents to negotiate. Prime bank official scrutinizes the documents to ensure the conformity with the terms and conditions. The documents are then forwarded to the L/C opening bank. The L/C issuing bank gives the acceptance and forwards an acceptance letter. Payment is given to the customer on either by collection basis or by purchasing the document. A LBPD Register is maintained to record the acceptance of the issuing bank. Until the acceptance is obtained, the record is kept in a collection register. Sight Payment Credit: In a Sight Payment Credit, the bank pays the stipulated sum immediately against the exporter’s presentation of the documents. Negotiation Credit: In Negotiation credit, the exporter has to present a bill of exchange payable to him in addition to other documents that the bank negotiates. Deferred Payment Credit: In deferred payment, the bank agrees to pay on a specified future date or event, after presentation of the export documents. No Bill of Exchange is involved. In Prime bank, payment is given to the party at the rate of D.A 60-90-120-180 as the case may be. But the Head office is paid at T.T. clean rate. The difference between the two rates is the exchange trading for the branch. Acceptance Credit: In acceptance credit, the exporter presents a bill of exchange payable to him and drawn at the agreed tenor (that is, on a specified future date or event) on the bank that is to accept it. The bank signs its acceptance on the bill and returns it to the exporter. The exporter can then represent it for payment on maturity. Alternatively he can discount it in order to obtain immediate payment. When export L/C is transmitted to the bank for advising, the bank sends an Advising Letter to the beneficiary depicting that L/C has been issued. Test key arrangement is a secret code maintained by the banks for the authentication for their telex messages. It is a systematic procedure by which a test number is given and the person to whom this number is given can easily authenticate the same test number by maintaining that same procedure. Prime bank has test key arrangements with so many banks for the authentication of L/C messages and for the transfer of funds. ILC means L/C within the same country. This type of L/Cs are opened when the seller does not believe the buyer though they are of the same country and also in the cases where the sales contract is of a big amount.